When I was 13, I went on a mission trip to Mexico for the first time. I fell in love nearly instantly. I loved the warm, inviting nature of the culture, I loved the beautiful sound of the language and I really was touched by the bond we shared with the Mexican church members as we worked along side of them to serve the Mexican people. By the time I got home I knew that the course of my life had changed, even though I couldn’t comprehend exactly how much. I went back the next year, and started studying Spanish. I decided that I wanted to become a doctor and would move down to Central America and work there as a missionary. I immersed myself in all things Spanish and dreamed about traveling to find the place I would settle down and begin my life. Two summers later this Mark Stearns and I started dating. 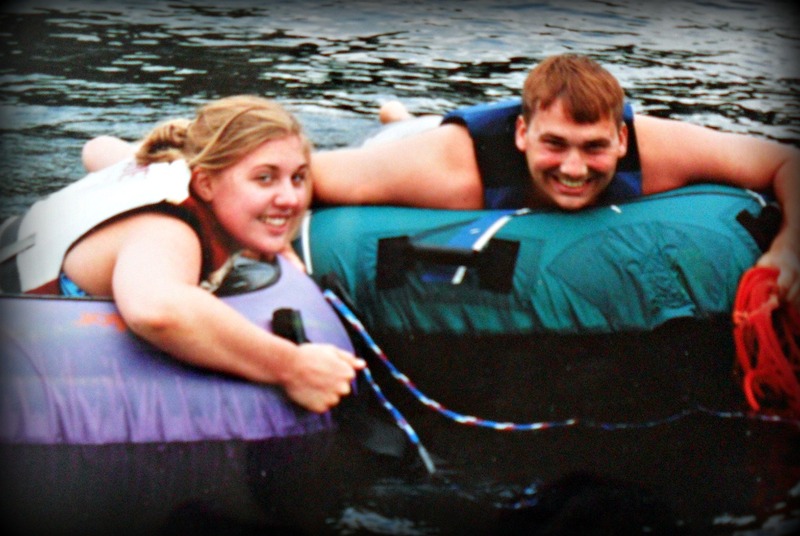 Mark and I in the summer of 2002, on Lake Roesiger. We had been dating for about a month at this point. This entry was posted in The Back story. Bookmark the permalink.